A block and tackle is an assembly of pulley blocks and rope or cables that are set up to decrease the effort needed to haul or hoist heavy loads. Each block has one or more pulley. Thread the rope, alternating between the pulley attached to the block on the object you want to move and the pulley attached to a fixed block. The process of threading the pulleys is called reeving, and a threaded pulley system is referred to as riven. The rope system as a whole is the tackle, and the block at the fixed point is the standing block. Place the two blocks with their base or flat edge facing down and the unthreaded pulleys facing up. Attach one end of the line to the thimble, or hook, on the bottom of one of the blocks. This will be the standing block. Arrange the two blocks so that they are parallel, with the pulleys positioned in the same direction. From the thimble, run one end of the line through the left pulley of the moving block. Once the line has been run through a pulley it is called rope. Now bring the rope back over to the standing block and run it down through the left pulley on that block. Once the left pulley on both sides have been riven, run the line up through the right pulley on the movable block, and finally run the rope down through the right pulley on the standing block, finishing reeving the system. 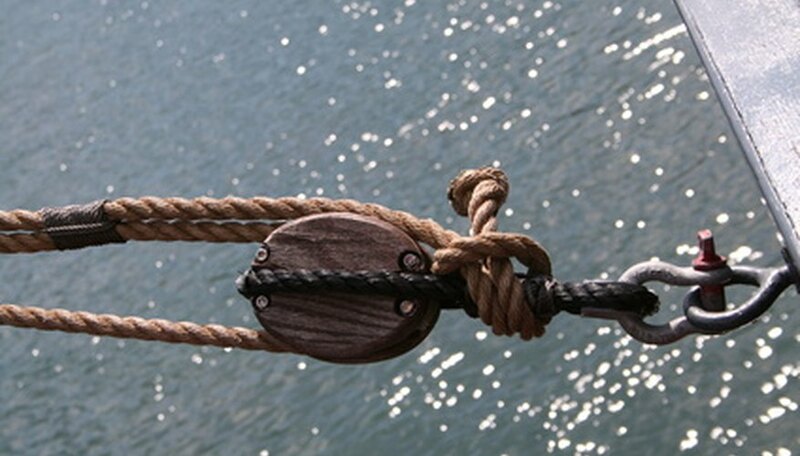 Once the system is riven, tie a knot at the end of the rope to secure it. To use the block and tackle, fix the standing block to a point, and attach the moving block to whatever you want to move. By pulling on the rope, you will shorten the distance between the two pulleys because the other end of the rope is fixed to the thimble. Campbell, Colin. 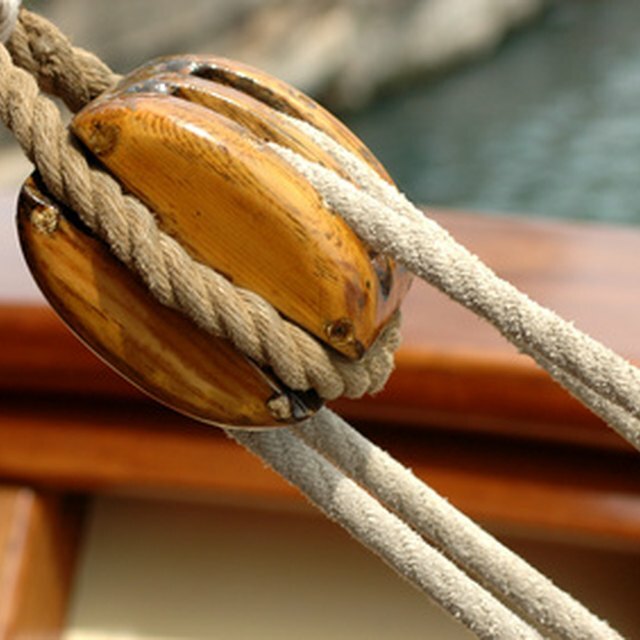 "How to Make a Block and Tackle System." Sciencing, https://sciencing.com/make-block-tackle-system-6780678.html. 24 April 2017.